Folks on the east coast just aren’t as lucky with varieties and season length when it comes to hummingbirds. CA and AZ see more species, with many being year-round residents. BUT, we do love our ruby throated ones, and if you’re lucky maybe a rufous now & then too! Most can’t wait for their migration and the season to commence… simply because there’s something magical about them! We dig out and clean feeders in preparation, and track the birds’ activities on hummingbird migration maps. The anticipation and first arrivals are the best! This year, you can get closer than ever to the tiny sprites by feeding them right from your hand. 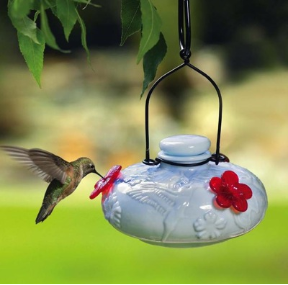 Hum-Buttons are unique hummingbird feeders that allow you to easily train the birds for this personal, up-close and awesome experience! 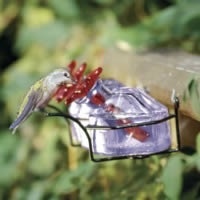 Offered in a set of three feeders, simply place them near an existing feeder and hummingbirds will soon be using them. Once they become accustomed, hold the feeder while standing as still as possible. Although it’s not rocket science, it does require a bit of patience. Another helpful article at first is sunglasses! By avoiding eye contact, the sprites are more likely to fly in for a close-up. Make your own nectar this year too (plain table sugar and water @ 1:4 ratio) and avoid red dye or anything else in the solution. There’s even a handy dandy container which requires no measuring, you can store it in the fridge and microwave if you boil the water (although not necessary). 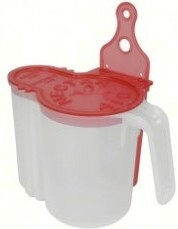 The self-measuring pitcher is called Nectar Aid and it was wildly popular last season, you don’t even need the spoon because it has a mixer attached. Check the video below to see a Hum-Button in action, and as for the flying jewels… we wish you safe travels! 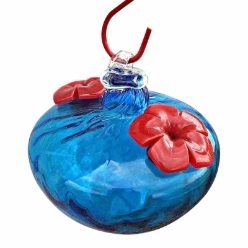 Gift idea # 45: Get someone hooked on hummingbirds! First and foremost, the Hummingbird Society recommends leaving at least one feeder out for stragglers or the occasional sprite who doesn’t head south! Wintering along the East coast, several birds have been documented enduring tough weather in the Northern hemisphere- and their dedicated hosts who manage to keep nectar from freezing! 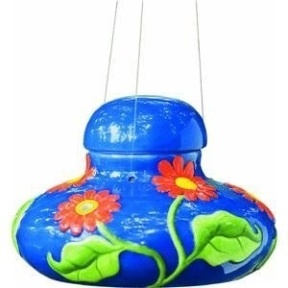 Although the company is now defunct, Bird Brain hummingbird feeders are still around, but we’re partial to the elegance of Parasol’s feeders instead. 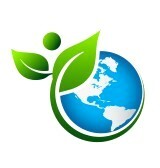 Both made from recycled glass, the ones made in Mexico are better quality than what comes from overseas. Their designs are unique, and Parasol’s love of birds shines through not only in their product offerings, but community involvement with raising awareness and conservation of the species. 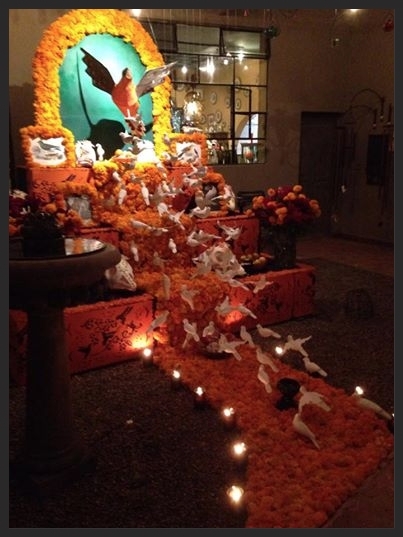 In heir latest newsletter, the Mexican tradition Day of the Dead was explained and how Parasol was involved with the annual fall celebration. Their altar theme was dedicated to Martha, the last passenger pigeon. She died 100 years ago in a zoo after spending many years in captivity. Once an overly a bundant bird, the passenger pigeon became extinct in a period of one hundred years due to indiscriminate hunting. Martha is considered a symbol of the threat that humans pose for some species, and that’s why Parasol honored the centennial of her death and its relevance with their Day of the Dead altar. Several hummingbird species are currently listed as critically endangered, and The Birdhouse Chick is a proud business sponsor of The Hummingbird Society. 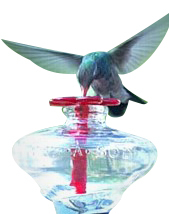 A portion of proceeds from each hummingbird feeder sold goes towards the society’s ongoing conservation efforts. They were really great feeders, so it’s sad the company’s no longer around. Trying to find replacement parts for the old Bird Brain hummingbird feeders could pose quite the challenge. A recent customer would absolutely attest to this fact. 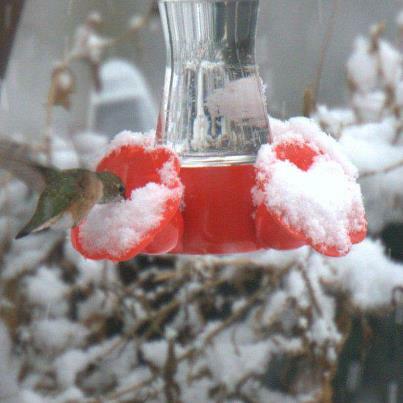 Even their feeders with the rubber or plastic flowers… nada, zip, zilch, replacements just don’t exist. But wait… the light bulb goes off and it’s a brainstorm for Bird Brain. Parasol! Yes some Parasol’s feeders use a red glass flower with a long stem. But will they fit correctly? The only way to know is try and see. 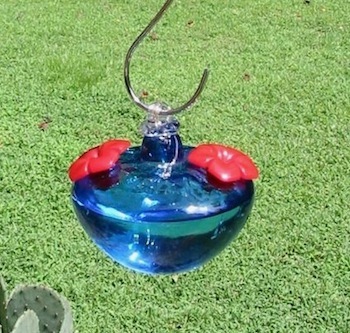 So with said customer on the phone, one glass hummingbird feeder from each company was pulled to experiment. It worked – like a charm too! The glass flowers actually looked better than the original parts. Even with the stem a little bit shorter, it doesn’t have much bearing as hummingbird’s tongues are twice as long as their beaks. Sometimes there’s concern that the feeder port doesn’t reach to the bottom of its vessel, but truth is, it’s not required. Even their styles with rubber feeder ports (which had no stems at all) will accommodate Parasol’s feeder tubes beautifully. Doh… forgot to photograph the new combination! So you’re actually in luck if searching for Bird Brain feeder port replacements, because Parasol’s work great! 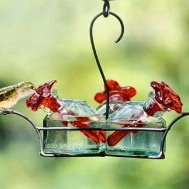 By the way, if there’s been a lull at your hummingbird feeders you’re not alone. Many people are saying the same thing. It could be the sprites are nesting, or maybe there’s just not as many this year? In either case… they’re back! We spotted several last week, and our local bird buddies said the same thing. 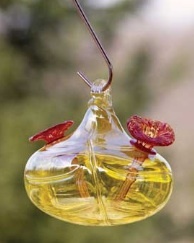 So it’s time to clean your feeder and be sure nectar stays fresh. And in about one more month, prepare to be dazzled when their migration begins. You may even need to another feeder! Although hummingbirds may have shown up a few weeks earlier this year… their trip home to Central and South America will likely be on target for early fall. If the tiny sprites are present and guzzling your nectar, just wait about another month when numbers may double, or even triple! The long journey back requires lots of energy, and nectar from feeders is an excellent source to keep hummingbirds engine’s fueled! Even when your resident birds may have already split… groups from further north and some stragglers will stop for refuge. Last year, we were absolutely inundated with hummingbirds during the fall migration, even our cats (from inside the screened porch) went bonkers seeing and hearing all the buzzing activity! More feeders were needed fast to accommodate the passers-by, and these little glass ones fit the bill well. 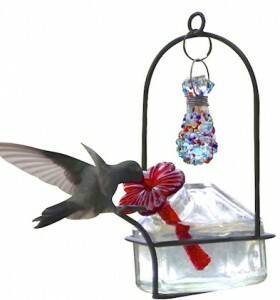 The Mini-Kins are Bird Brain hummingbird feeders, and sold in sets of three. 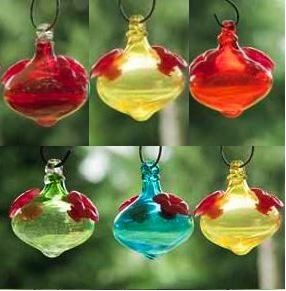 Hand blown glass in vibrant colors, they’re easy to fill & clean, and two feeding ports are better than one! 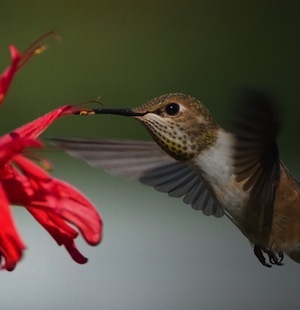 Be ready to offer migrating hummingbirds fuel for their long journey home. Keep nectar fresh and hang an extra feeder or two in the next few weeks. Keep leaf misters on during the day (their favorite), and if you have birdbaths with fountains, be sure the water is clean for them as well.